The BMC divides England and Wales into ten geographical areas: Cymru North Wales; Cymru South Wales; Lakes; London & SE; Midlands; North East; North West; Peak; South West; and Yorkshire. BMC Areas provide a focus for local activities and are instrumental in driving national policy. Each BMC Area holds five meetings a year, and each precedes a meeting of National Council, to enable members to make their views known and be communicated to National Council, which is the BMC’s policy making body. Each Area has a dedicated section on the BMC Local Area site, where you can find information about area meetings and other BMC events, as well as other events likely to be of interest to BMC members. What happens at BMC area meetings? When is the next BMC area meeting in my area? 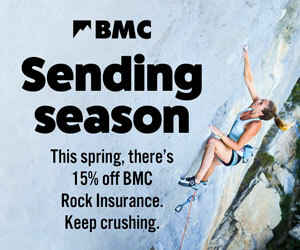 How can I interact with my local BMC area? Who is my local area chair and secretary? * Cymru South Wales became a fully constituted BMC Area in February 2017, having previously been an outreach group. The Local Areas site still reflects the situation prior to February 2017, in that all area meetings in Wales (including Mid Wales outreach group meetings) are listed in one section of the site.